Battle of the Titans . . . What Follows the Driverless Car? Hot on the heels of Google’s self-driving car (above) comes news of dramatic developments at Apple. The computer giant is reportedly hiring auto engineers to work at a top-secret lab in Silicon Valley, kicking off rumours that a software-inspired electric car is in the making – under the project name ‘Titan’. It has taken years for Google to produce a fully-functioning self-driving car – no steering wheel, accelerator or brake pedal – but it’s finally here. On December 22 2014, Google unveiled their finished prototype with plans to test it in the San Francisco Bay area this year. Following intensive lobbying by Google over the last five years, four U.S. states now have legislation allowing driverless cars. Pretty picture: The Updated Google car. But does the driverless car really work? Reports so far have been mixed. A 2012 YouTube video shows Steve Mahan, a vision-impaired California resident, trialling a self-driving Toyota Prius. Legally blind, he is shown successfully negotiating the route from his home to a drive-through restaurant, stopping off at the dry-cleaners before coming back home. Plenty of problems, however, prevent the driverless car from being an instant hit. The final version still cannot handle heavy rain and snow-covered roads, and can only manage sluggish speeds at roundabouts and intersections. It’s hard for the computer to spot rubbish or debris in the road, and Chris Urmson, of Google, has admitted that the lidar technology cannot detect potholes or humans, such as a police officer signalling for the car to stop. In short, then, it hasn’t yet developed the road savvy and on-the-spot quick thinking which is such an essential part of driving on today’s busy highways. 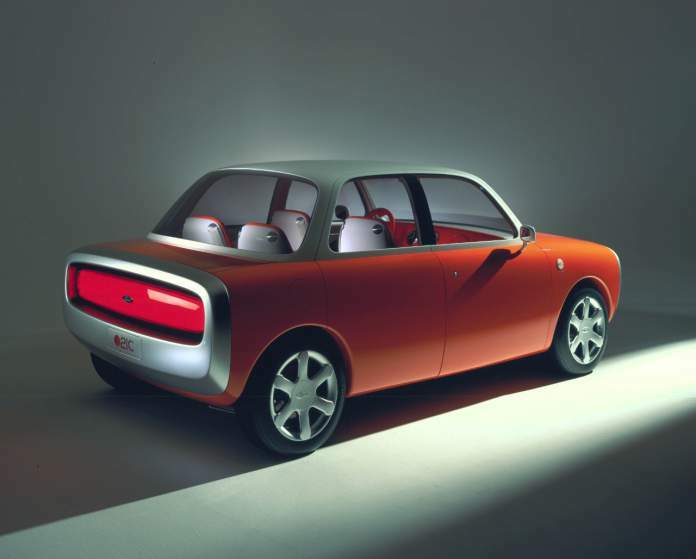 Concept car: The 1999 brainchild of Apple’s new star designer Marc Newson. So what does Apple have up its sleeve? The Financial Times is reporting that Apple has poached the head of Mercedes-Benz’s Silicon Valley research and development unit, while the senior vice-president of Apple design has held regular meetings with the big guns of the auto world. Apple and Google regularly go head to head in their software wars. And it’s possible that Apple may simply be developing its CarPlay project, which allows drivers hands-free access to their iPhones. The Wall Street Journal, though, has heard whispers that Apple is working on an electric car, possibly a people-mover. No doubt we’re in for a lengthy wait before Apple’s secret plans are revealed to the world. In the meantime, however, it’s hoped that Google’s car will be available to the public in 2017. 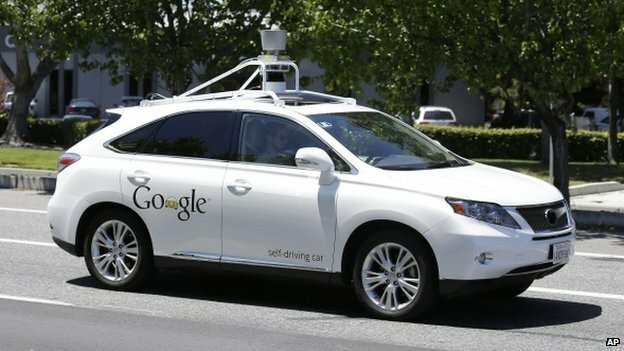 Lawyers are pointing to a legal nightmare, with many ancient road laws unable to adapt to driverless cars. But Google are undaunted. There is now talk of a ‘Robo-Taxi’, with Google consultant Larry Burns saying self-driving, taxi-like vehicles “should be viewed as a new form of public transportation”.